Fairy tales are not only in children’s books. Sometimes they can be real places sculpted by nature so as to transfer us to faraway lands of kings, princesses and magic. 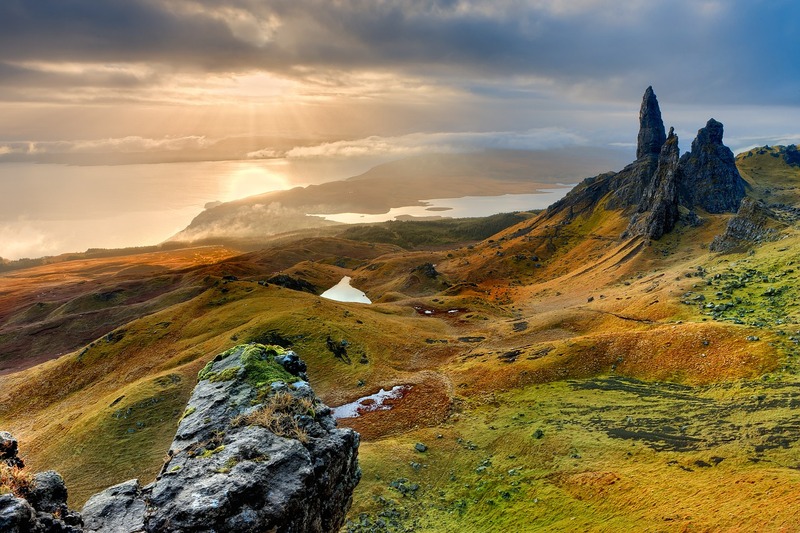 Here are a few of these magical places as seen from some of the best travel bloggers. They are perfect for children as well as for grown-up children. The Fairy Pools on the Isle of Skye, Scotland, are just magical. They are a set of waterfalls flowing into crystal clear pools with the stunning Black Cullins mountains as the backdrop. The colors of the water and mountains are so intense, it seems like a place out of a fantasy movie. It’s a short easy walk to the largest waterfall, you just have to navigate across the stream on a rock bridge. If you are up for it, you can even go for a swim in the crystal clear waters but let me warn you it will be cold. I would allow an hour for the 2.4 km round trip walk so that you have plenty of time for pictures. 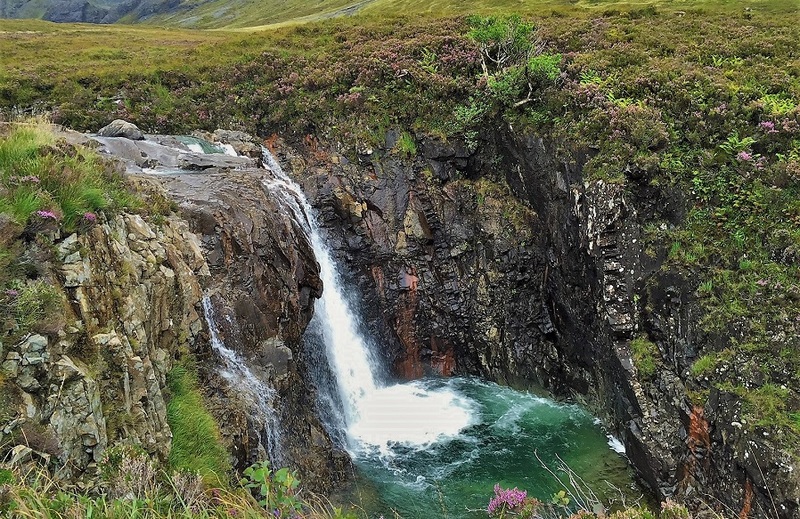 How to get there: To get to the Fairy Pools, take the road to Glenbrittle and you will see the car park. It is free to visit the Fairy Pools, you don’t even have to pay for parking. Bring along some rain gear, just in case, as the weather in Scotland can be unpredictable. Get there early to beat the crowds, the Fairy Pools are popular and parking is limited. The Fairy Glen in Scotland is a really magical place. It was the highlight of our trip to the Isle of Skye. 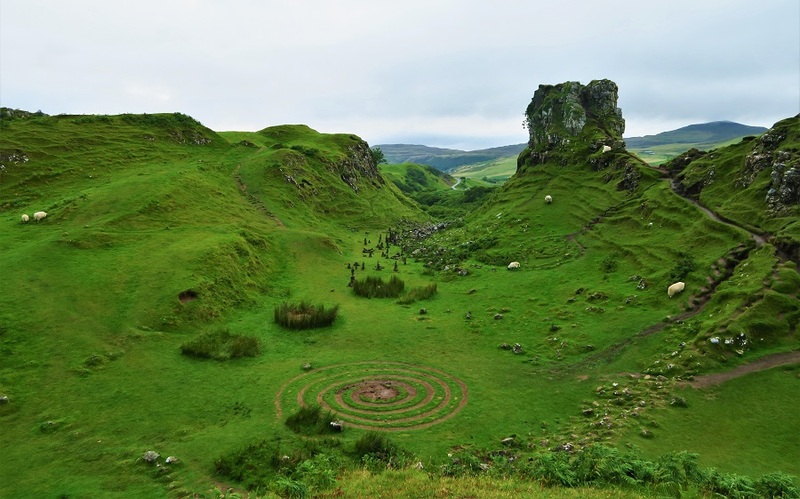 This area has many cone-shaped hills, special rock formations and mystical stone spirals. Castle Ewen is a rocky outcrop, which resembles a ruin from the distance. You can climb to the top of it for a nice view. Be careful as it can be slippery and muddy after rain! We visited the Fairy Glen during sunset, hence our experience was probably even more magical than those who came during the day. The only creatures apart from me and my boyfriend were the sheep. We spent about an hour enjoying the region. There is even a small lake, which is another picturesque place to snap some pictures. Useful information: There isn’t a specific hiking trail here, you can just wander around and enjoy the peaceful atmosphere that the Fairy Glen offers. Unfortunately, there isn’t official parking here, so the best is to park in Uig and then walk here, which is about 30 minutes. It will be well worth the walk! 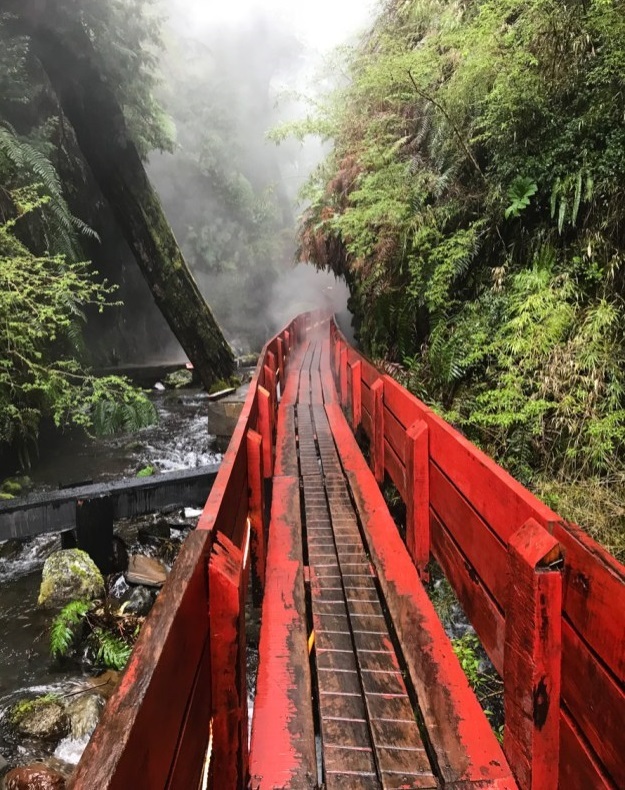 Stepping into the mist-shrouded ravine of Termas Geométricas, located on the side of a volcano in Pucón, Chile, on a drizzly spring day is truly like walking into a fairy tale. Imagine yourself sitting in a naturally heated rock-lined pool, with rainwater dripping through vines and moss onto your head to cool you from the relaxing waters and steam shrouding your views of the other pools and bathers. A walk along the paths brings you through 17 pools, past a charmingly-defunct water wheel and all the way to a secluded waterfall at the end. The designers seem to have taken strong cues from Frank Lloyd Wright’s built-into-the-brow style, allowing the ravine’s natural beauty to shine through at every turn while punctuating it with the stunning red angular walkways. No visit to Chile’s Lake District is complete without a stop at Termas Geometricas! Sintra seems like a place taken from a fairy tale and a dream come true. The only difference – Sintra is real! Located not very far from the capital of Portugal, Sintra is going to take your breath away. The romantic aura of this charming city has been attracting artists for centuries, such as Lord Byron who believed it is the most beautiful place in the world. Sintra is a place that can keep you captivated for many hours since there are so many things for you to see whether it’s the magnificent palaces, the luscious gardens that surround the palaces or the panoramic views of the city. The most iconic place in Sintra is Pena Palace which looks like it got straight out of a Disney movie with its vibrant colors and unique architecture. 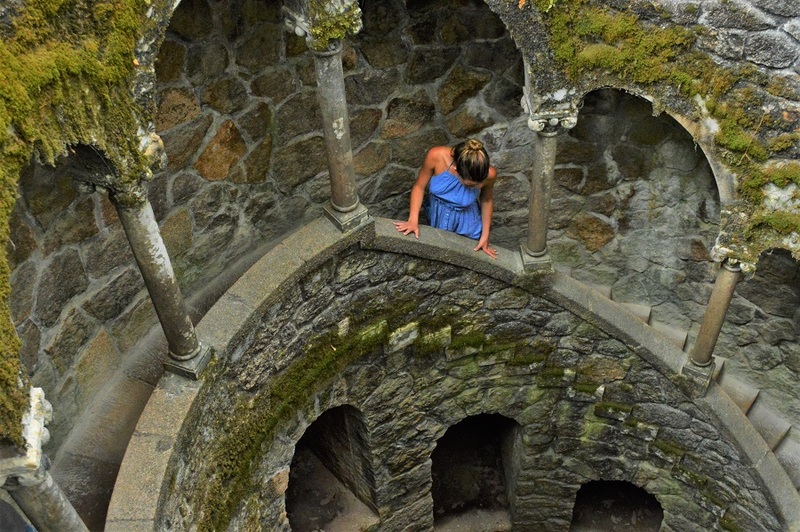 My ultimate favorite place in Sintra is Quinta da Regaleira, a former Gothic residence compromised of a palace, luxuriant gardens, secret tunnels, hidden wells and much more. When you walk around the gardens of Quinta da Regaleira, you will instantly sense an alluring sense of mystery as it contains an enigmatic system of tunnels, caves and underground walkways that you have never seen before. Torrevieja is a coastal Spanish town. It’s not as famous as Barcelona or as charming as Seville, but its pink lagoon is a unique attraction that no other Spanish city can offer. 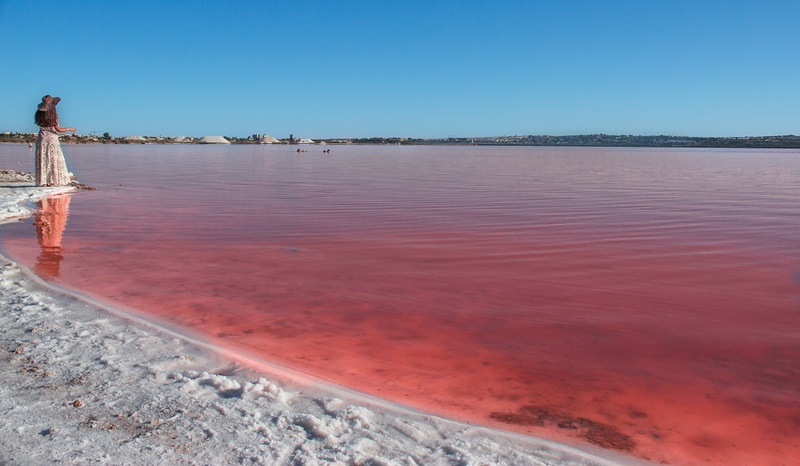 Torrevieja Pink Lake is one of the two lakes of Natural Park de las Lagunas de La Mata y Torrevieja. If you are already picturing yourself bathing in this strawberry milkshake lake, like I was, let me just warn you that it’s a forbidden activity. Nevertheless, when I visited this spot most of the people were enjoying it like a free and secret saline spa. However, being a prohibited activity, if caught by the civil guard or by environmental agents, may lead to a fine. Nestled in an enclosed rainforest on the West Coast of New Zealand lies a very special secret. You may have seen its otherworldly hues of popping color on your Instagram feed, or it may be recognized for its Tolkien-inspired ambiance, but I can assure you that is nothing compared to witnessing its alluring charm in real life. 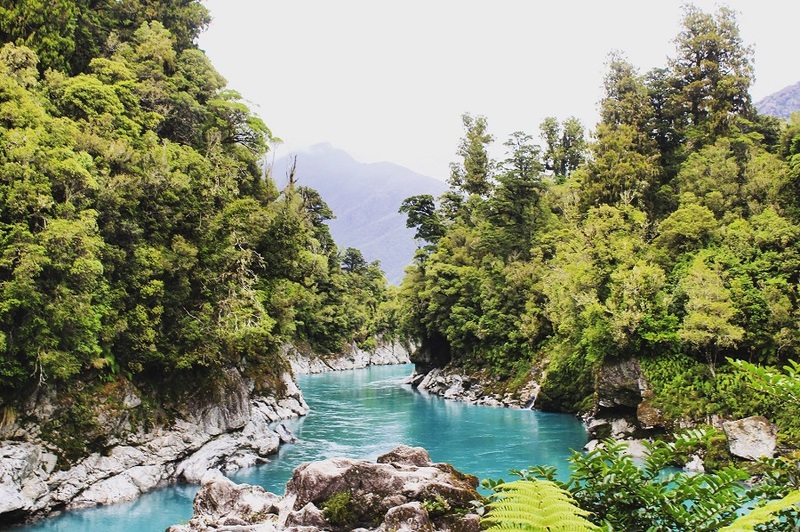 Hokitika Gorge is a truly magical spot that simply cannot be overlooked while exploring the ultimate fantasy destination. With vibrant colors and a peaceful atmosphere, you’re soon transported to a dreamy pocket of natural beauty. After a brief walk through the bush, you cross a narrow bridge over the mouth of the gorge getting just a sample glimpse at the extraordinary blue waters below. Once at the iconic viewpoint overlooking the heart of the gorge, you’ll simply marvel at the stunning view ahead. Flanked by rich forest greens, the turquoise colors stand out even more. One could stay staring at the still serenity of this mesmerizing water the color of liquid crystals for hours. However, clambering over the rugged rocks makes for an even more adventurous visit and allows you to perch atop the rocks to get that perfect perspective. Needless to say, I can’t recommend soaking up the tranquility of Hokitika Gorge enough, it’s locations such as this that make it all too easy to imagine mystical creatures living deep in the woods around this enchanted scenery! One of the most surreal places I’ve visited in Bali was the Hidden Canyon. While Bali is not short of stunning locations, Hidden Canyon is easily the most memorable with its dark rocks, deep gorges, and weird weather pattern. A walk through it was almost like stepping into a mysterious, fantasy world. The Hidden Canyon consists of a series of three gorges, and you would need to hire a guide in order to go in to ensure that you are on a safe and right path. 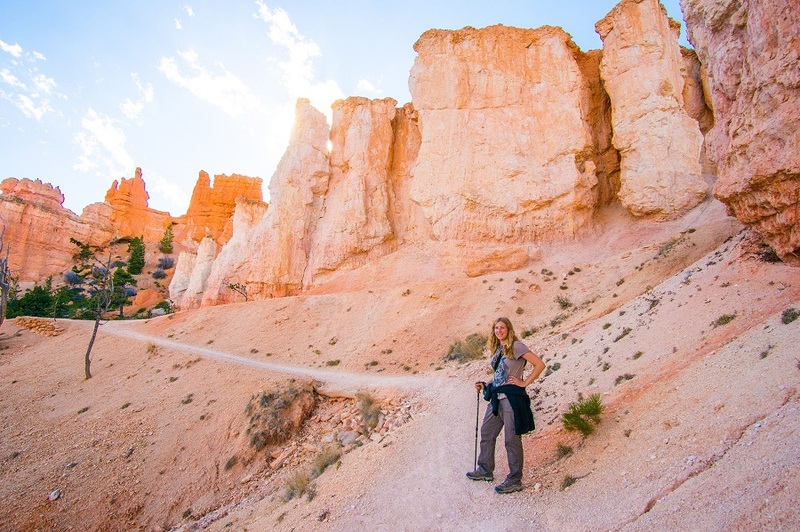 We arrived in the early morning just after it was open and was able to walk through the canyons alone, soaking in its beauty while surrounded by high cliffs and forests. The gorges are a result of millions and thousands of years of erosion by the river, and at the end of the tour, you would also walk through a local rice paddy! I had wanted to visit Bryce Canyon for a long time from seeing all the cool pictures of it’s unique looking landscape. But I did not truly understand just how unique-and magical it would be until I got there and took a hike down into the canyon. We went on a trail named “Fairyland Loop”, and it truly felt like you were in a land not of this world! The ground color was a smooth gradient of deep rich orangey reds fading out to white; the rock formations, called hoodoos, were in all sorts of fantastical shapes! One of the formations was a long wall, with a spot that had a window in it that you could peak through! Another farther on down the trail was named “Tower Bridge”, and it really looked like a fairy castle, perched on top of a tall cliff, with two towers and a bridge connecting them! It was all truly breathtaking and I felt like I was in a different world! 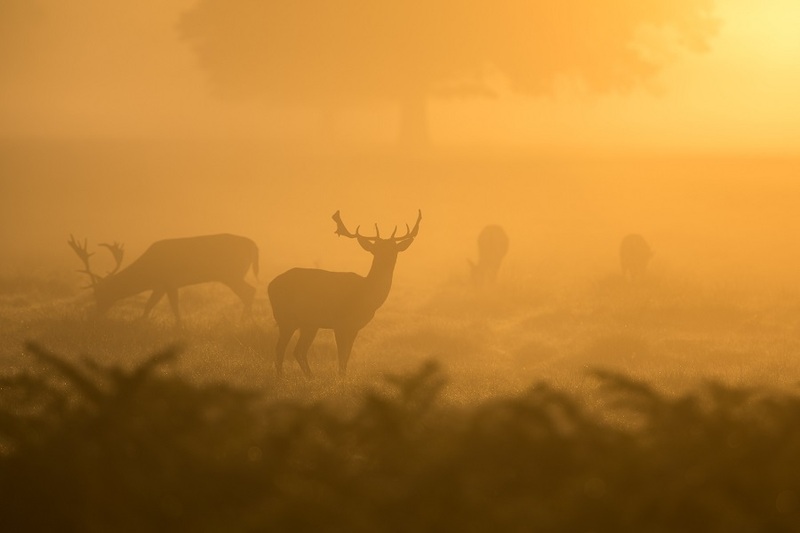 We have all heard the stories of Cinderella and Snow White and the Seven Dwarfs and the Little Red Riding Hood but we rarely wonder where they have come from. 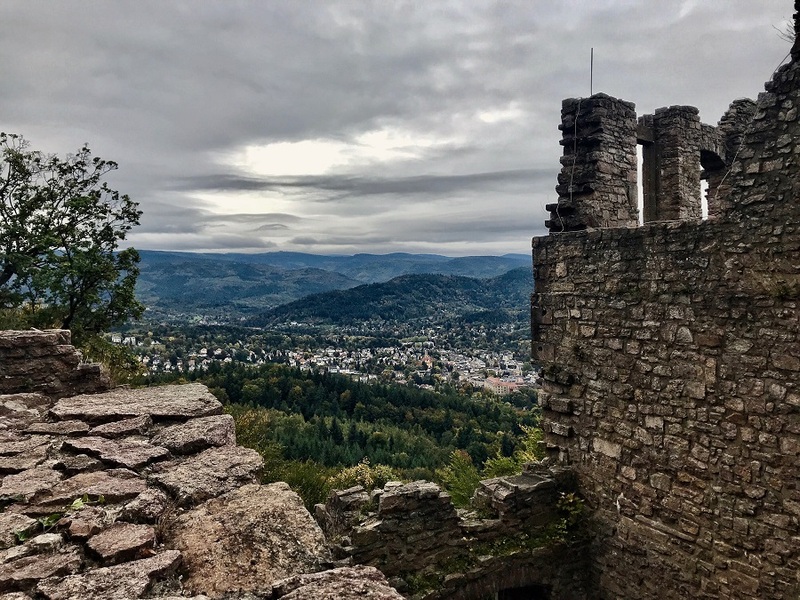 In fact, they were all part of central Germany’s folklore and now that you know the stories, the forests look as if coming out of the story of the Red Riding Hood and the Marburg Castle reminds you of Cinderella’s one-hundred-year sleep. 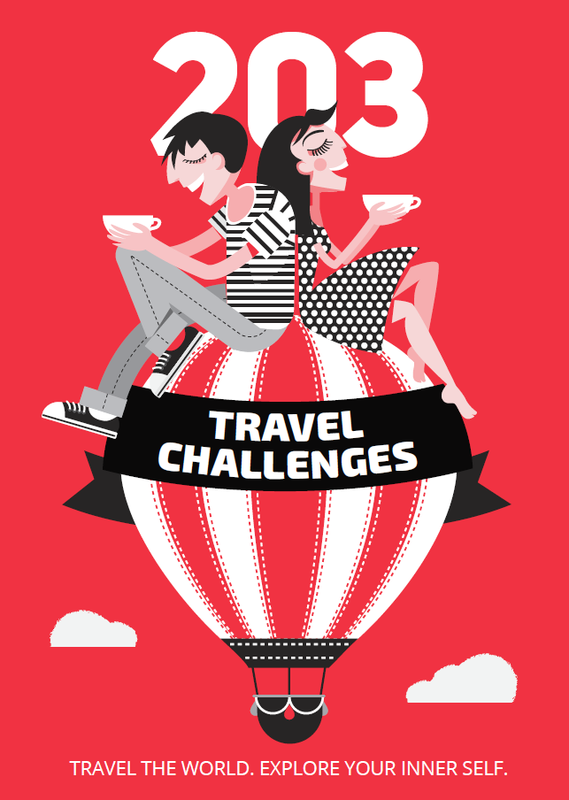 Today, you can drive through this region and experience the ambiance of the towns described in the fairy tales. This scenic drive is popular as ‘The Fairy Tale Route‘ and stretches from the birthplace of the Brothers Grimm, Steinau, to the town of Bremen popular for its animal ‘musicians’. The German state of Bavaria is known for its castles, lakes and the Alps. 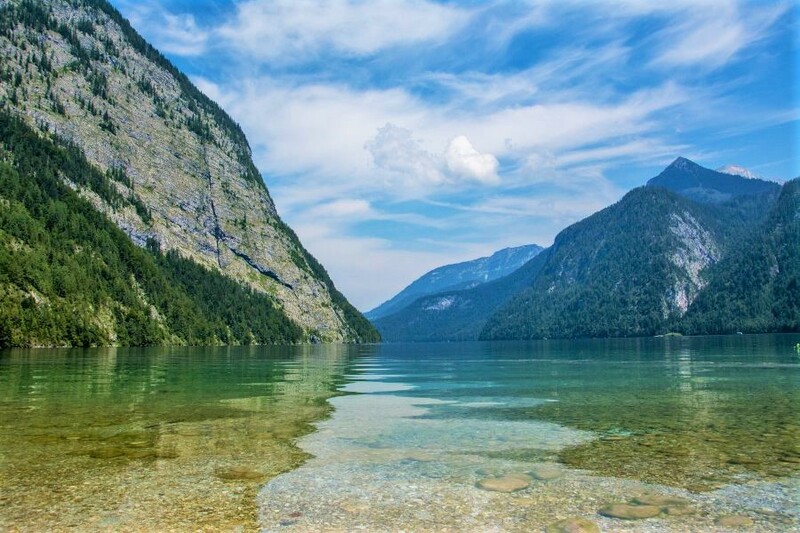 And while the state is full of special spots, each with its own unique personality, the Königssee is one of the most spectacular lakes Germany has to over. Nestled deep in southeastern Bavaria, about three hours from Munich and just a stone’s throw from the Austrian border, it takes a bit of travel to get there but it’s well worth it. Set in the shadow of the Watzmann peak of the Alps, the Königssee (literally “King’s Lake”) is said to be the country’s cleanest lake and one of its deepest. The Königssee is beautiful, crystal-clear green-blue water. And hidden down at the far side of the lake is a 17th-century fairy tale pilgrimage church, St. Bartholomä. The church’s red onion-domed roof adds a magical touch to the building. Visitors can reach the church with a hike through the surrounding Berchtesgaden National Park or with a quiet cruise along the waters on an electric ferry. 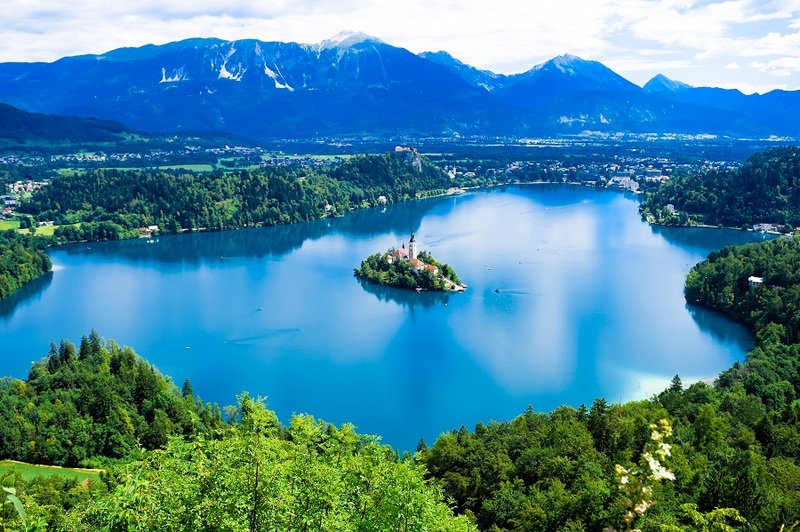 Lake Bled, located in the breathtaking Julian Alps of Slovenia, is a real-life fairy-tale destination. The emerald blue waters wash the banks of the postcard-perfect little island in the middle with the cutest little church. From the moment you enter Bled town, you feel like you have left behind your normal life – and what’s not to love about this little town? It offers peace for the honeymooners, great mountain ranges for the avid hiker, water sports and adventures for the adrenaline junkie, unforgettable experience for the backpacker who is the there just to take it all, and great memories for the families who are there with their kids to make them feel as if they are living in a fairy tale. From basalt formations with the faces of trolls to rock piles that house elves, the folklore of hidden or supernatural creatures holds a strong presence throughout Iceland. No place felt more like stepping into a fairytale, though, than Gjain, where a barren and rocky landscape gives way to a lush valley filled with countless waterfalls, ponds and volcanic formations. 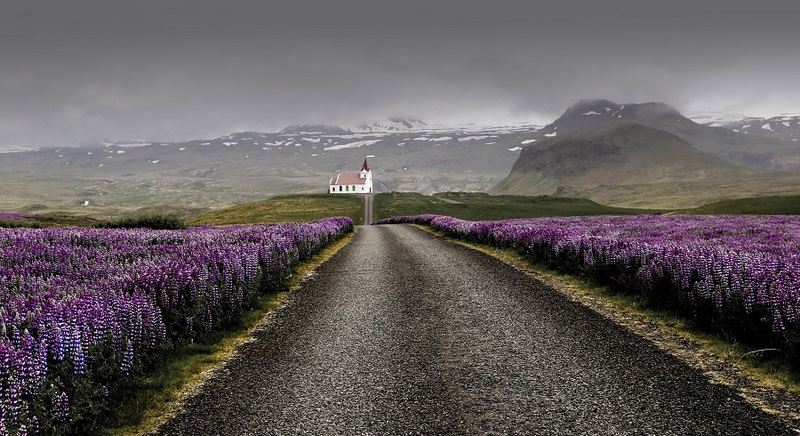 A lack of tourist crowds here adds to the appeal, since a bit of effort is required to reach Gjain (it’s just a couple of hours from Reykjavik in the Southern Region, but you have to drive inland from the main Ring Road down some pretty bumpy paths, ideally in a 4WD vehicle). 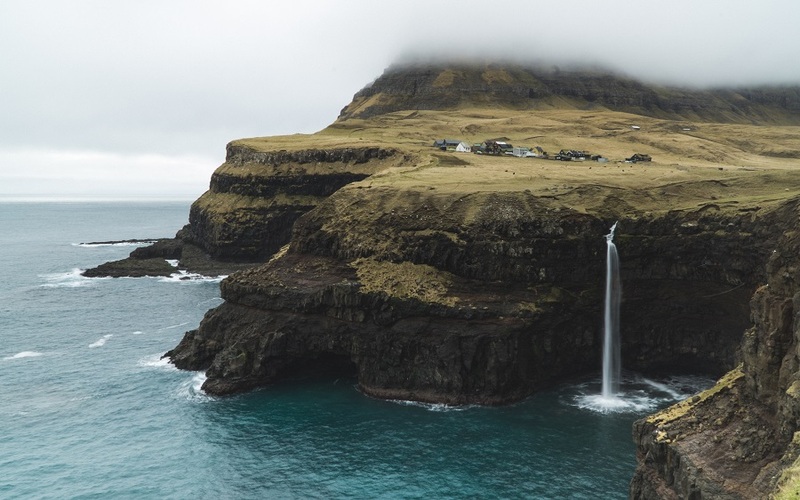 With few other visitors around at any given point, it’s easy to lose time hopping rocks to cross waterfall-fed streams, climbing boulders to peek into lava caves or twirling around on the grassy shores with only the invisible fairies that surely live here for company. Just outside Dublin is the little peninsula of Howth, with a charming fishing village, a castle of the same name and a 4000-year-old history. 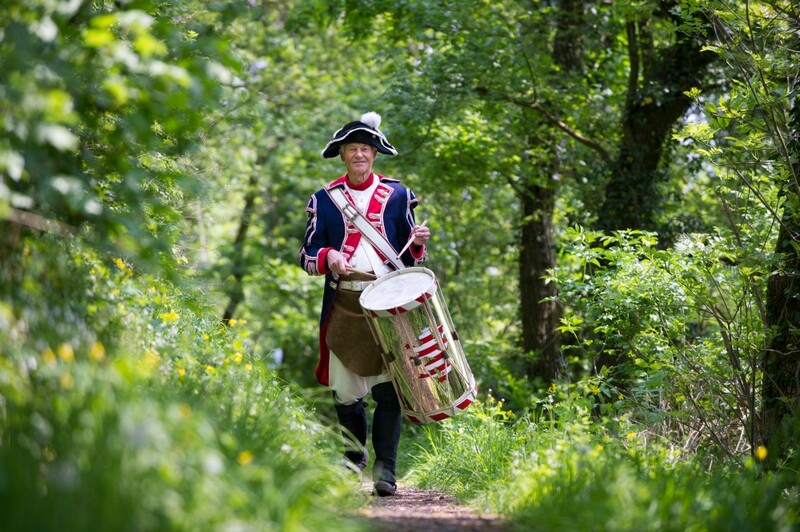 As you walk to the Ben of Howth through the castle grounds, the current residence of the heirs of the Lords of Howth, you reach the Rhododendron Gardens, a magical and enchanting area of woodland. 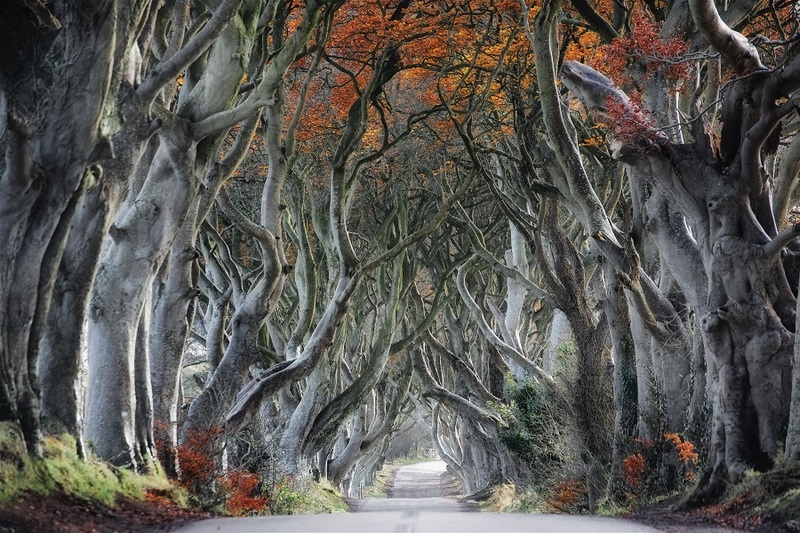 The trees are big, old and gnarly, climbing over rocks and creating natural green tunnels that lure you in. 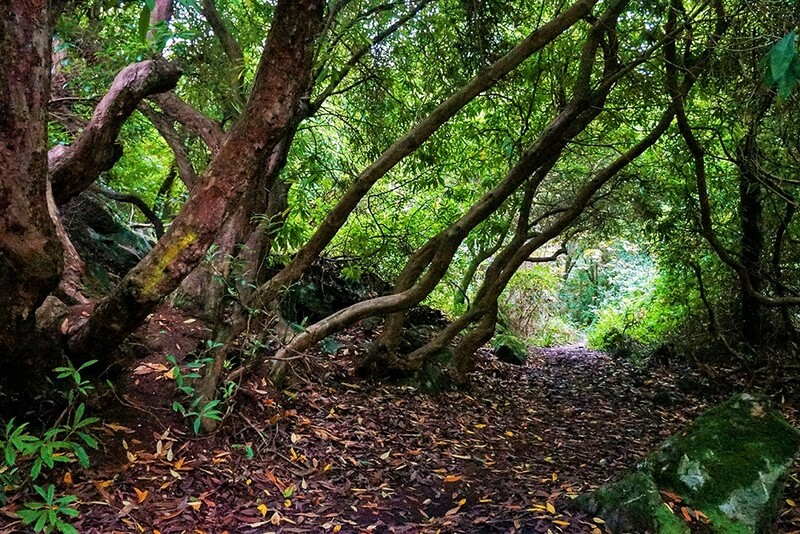 Within these woods you will find Aideen’s Grave, one of the oldest monuments in Ireland and said to be the burial place of Aideen, an important figure in Irish mythology. She was the wife of Oscar, the strongest and bravest of the Fianna warriors. When she heard of Oscar’s death in battle, she herself died of sorrow and her resting place is now marked by a giant dolmen. This dolmen is also said to be a portal to the fairy world, and after hearing the legends that surround the area, you almost expect the fairies to appear at any moment. 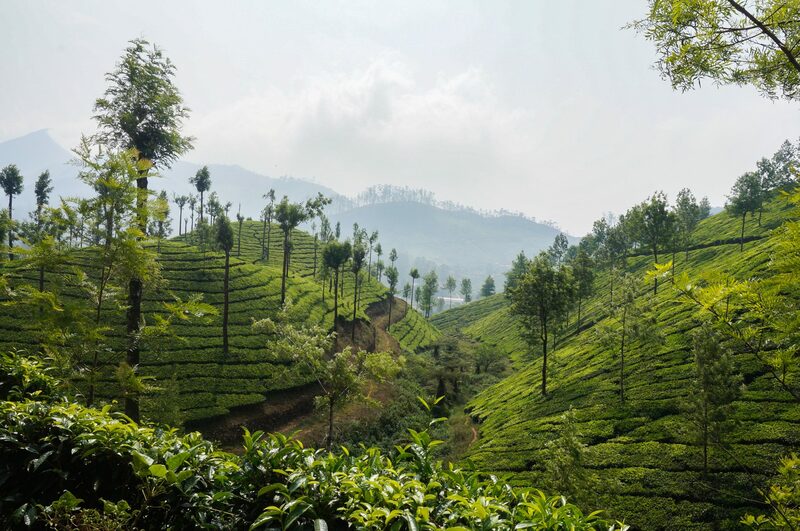 Tea plantations look incredible in pictures but they ooze surreal beauty even in real life. At least that’s how I felt during my visit to Munnar, Kerala. A huge area around the town is covered in perfectly shaped tea trees. There are several bright-colored temples inside the plantations that add a fairy-tale touch to the scene. Beyond getting an eye-pleasing look of the tea (perfectionists, here you go), you can also learn about the technology of tea production in one of the local museums or factories. If you love nature, there are plenty of trekking routes with scenic lakes and spice plantations around Munnar. The variety of places and activities in the area can keep you busy for a few days. P.S. Beware, you might end up with hundreds of pictures of tea just because it feels so satisfying to click it. 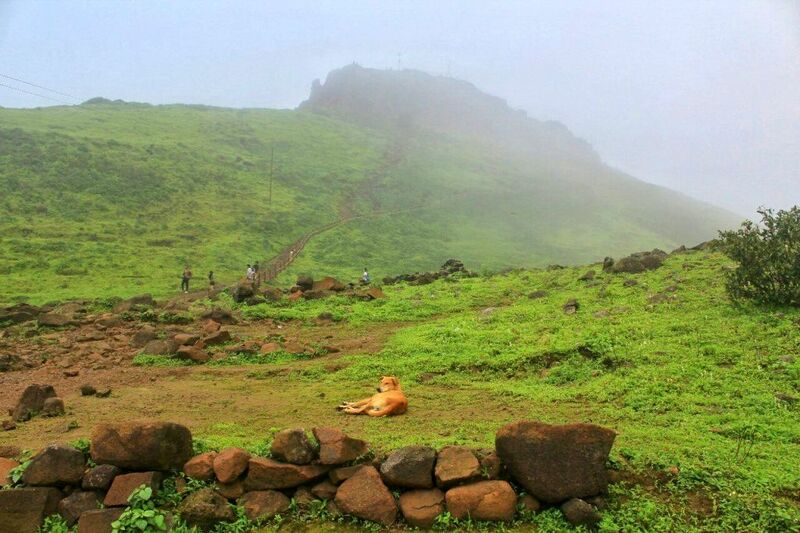 Mount Kalsubai, the highest point of Maharashtra, an Indian state, made my dream of living in a fairy tale come true. Kalsubai is a 4-5 hour hike from its base village. Scaling the top of the mountain involves climbing up four metal ladders. I attempted this trek in the monsoon months when the hills were cradling the clouds. The countryside and every stretch of land were nothing but blotches of unreal green. When I reached the final ladder which is critical to ascend the summit of Maharashtra, my fairy-tale moment arrived. The top of the ladder was not visible from its origin, not because it was too high but because the clouds completely engulfed it. I started climbing and soon I was wrapped in a cloud cover. I could barely see my feet on the ladder steps! But like a magical swoosh, a strong gust of wind blew away the cloud and my surroundings were colorful again. This kept happening on the summit as well. It was my mini moment of cloudwalk like Jack did in the fairy tale ‘Jack and the beanstalk’. Hiking back from the Berkoh Cascades, the creek fans out slightly wide and stills into a pool. Tannin stains the water a translucent bronze, glowing in the morning light. That day, the rays of the sun shimmered over it as a curtain of light. And I thought, a bunian princess would bathe in a pool like this. The bunian are a race of light whose beauty and grace can be likened to Tolkien’s elves. They are said to inhabit a land between heaven and earth, called kayangan. A familiar theme of Malay fairy tales often begin with a bunian princess descending on moonlight to bathe in a secluded jungle pool. A human man encounters her. Instantly smitten, he hides her magical clothing. Unable to return to kayangan without it, she promises to marry him and remain on earth. But she extracts from him a pledge he must not break. Years pass, and they live in contentment. But the heart of man is inconstant, and he gradually takes for granted his exceptional bunian wife. One day, he breaks his pledge. And as is the way of the honorable bunian folk, she gathers her magical clothing and returns to kayangan, lost to him forever. 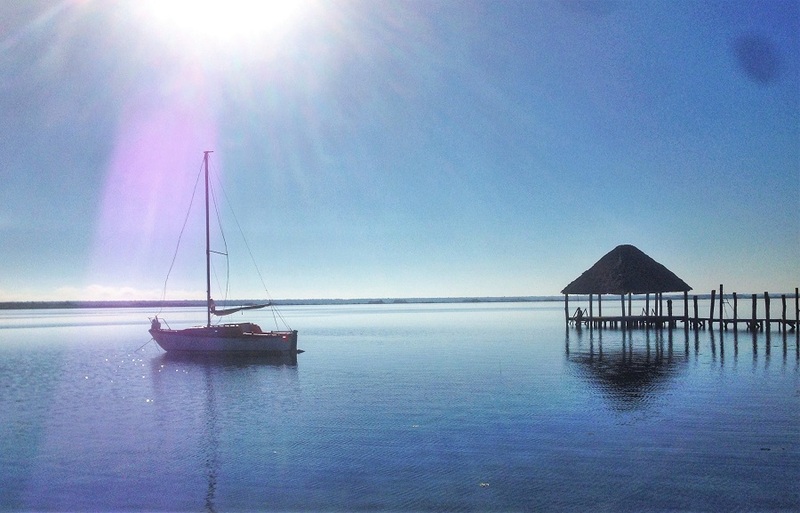 Last autumn I spent a week in the lakeside town of Bacalar, in the Quintana Roo state of Mexico. After experiencing hectic Mexican cities and touristy beach destinations, when I arrived in Bacalar I felt like I’d stepped into the world of Neverland and I was staying at a mermaid lagoon. Lake Bacalar is known as the Lake of Seven Colours because the water is so clear, you can see bright shades of blue and green reflected in the sand below. The Yucatan area of Mexico is also known for cenotes, which are natural sinkholes filled with water. Bacalar has several of these; some in the lake itself and others nearby, such as the large Cenote Azul, where you can dive with the fishes. During a sunrise stand-up paddleboarding tour of Lake Bacalar, we ventured over to the far side of the lake and the Pirates Canal, where pirates would come up from the Caribbean in the 1700s. There is also an abandoned ship that you can climb and jump off into warm waters of the lake. Needless to say, the sunsets and sunrises over the lake are stunning, and several times I had to pinch myself to check I wasn’t just an extra in Peter Pan. You should tread carefully across shaky bridges, climb wooden ladders, feel the refreshing spray from waterfalls of all sizes and breathe the crystal air of the Rhodope Mountains in Bulgaria. The picturesque woods seem like a filming location for fairy tales; you’ll be reminded of Little Red Riding Hood as you make your way along the hiking trails at the Canyon of Waterfalls. You’ll see 46 waterfalls of all sizes and capacity along the route. 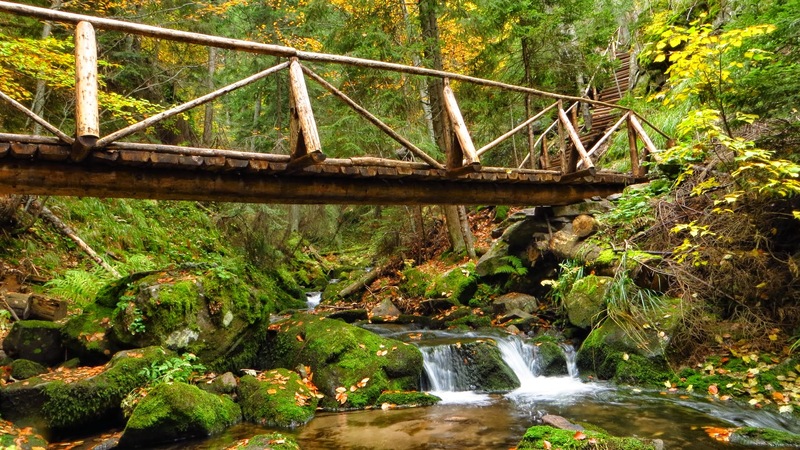 The best section of the trail includes numerous wooden bridges, zigzagging between both sides of the river Elenska. You can find plenty of panoramic views overlooking the beautiful Rhodope Mountains, as well as summer houses, benches and picnic tables along the route. Bring some sandwiches and water to sustain you for a whole day in the canyon. Useful tips: The most appropriate season for visiting the Canyon of Waterfalls is the beginning of summer, when water levels are high and everything around is green. Autumn also offers beautiful conditions, as the canyon’s trees show off their yellow, red and brown leaves – the colors of the traditional local dress. 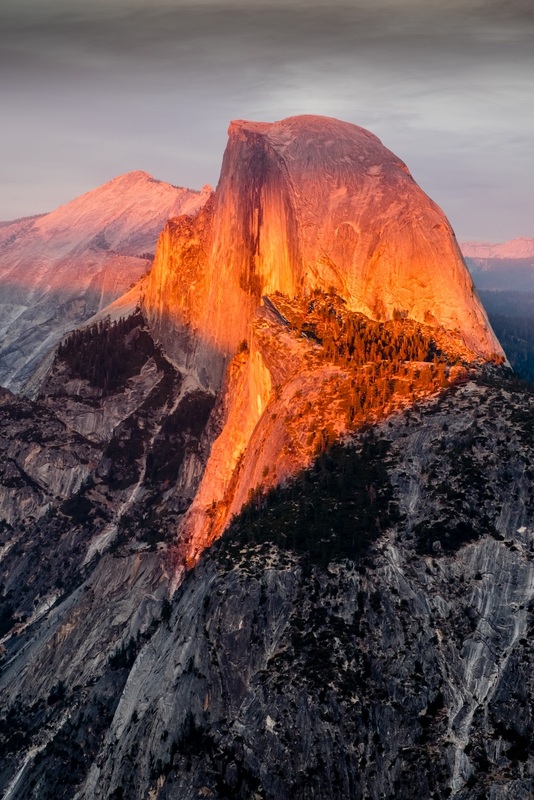 Great post Maria and thanks for sharing my picture of Yosemite. Some places look unbelievably beautiful on pictures and you can only imagine how they feel in real life.